Are you ready to play some basketball? 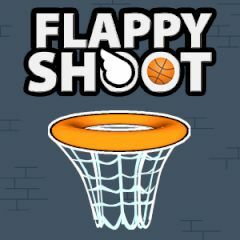 Flappy Shoot is a game where you must deliver balls to all incoming baskets. How it is done? You must click on the screen and pop the ball, making good trajectory for the next throw. Increase multiplier, have fun and purchase new skins to have more fun.